The Army will finally get some desperately-needed supersonic firepower to take on enemy fighters, helicopters, drones and sub-sonic cruise missiles after years of grappling with obsolete air defence weapons. What makes it even more significant is that the new weapon system is 96% indigenous. The 1.13-million strong force will begin getting the Akash "area defence" missile systems, which have an interception range of over 25 km in all weather conditions, from next month. Though quite late in coming, the Akash systems pack a formidable punch by being capable of tackling multiple aerial threats attacking from several directions simultaneously. 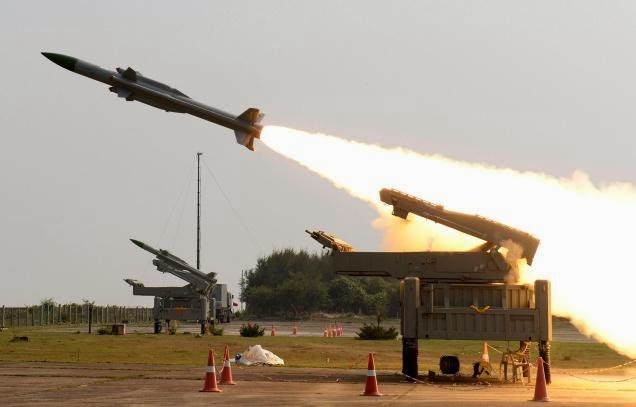 Defence ministry sources said Manohar Parrikar is slated to symbolically hand over the first Akash - the surface-to-air missiles (SAMs) fired from mobile launchers with powerful multi-function radars to evaluate and track threats -- to the Army in early-April. The Army has initially ordered two Akash regiments, with six firing batteries and hundreds of missiles each, for around Rs 14,180 crore. "The first full regiment should be ready by June-July, with the second one following by end-2016," said a source. 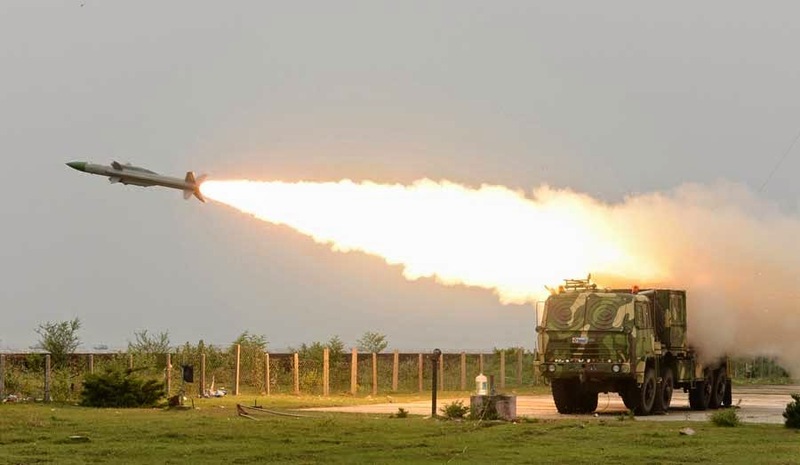 As first reported by TOI, IAF has already begun to deploy six Akash missile squadrons in the north-east to counter China's build-up of military infrastructure all along the 4,057-km Line of Actual Control (LAC), which includes eight fully-operational airbases in Tibet. IAF has ordered eight Akash squadrons for Rs 6,200 crore, with the first two coming up at the Mirage-2000 base in Gwalior and Sukhoi-30MKI base in Pune. This led to the junking of the long-pending plan to develop the 'Maitri' short-range SAMs with France at a cost of around Rs 30,000 crore. The Navy, however, does not find the Akash suitable for its warships. It has asked the Parrikar-led defence acquisitions council to empower DRDO to re-engage with French armament major MBDA for joint development of the SAM systems. "Navy's initial requirement is for nine such systems, with 40 missiles each," said a source. The Akash was one of the five core missile systems of the integrated guided missile development programme launched by DRDO in 1984. After long delays due to technical problems, the indigenous SAM - produced by defence PSUs Bharat Electronics and Bharat Dynamics -- is finally being inducted into the armed forces. "The fully-automated Akash system is designed to defend the country's vital and vulnerable areas against medium-range air targets penetrating from low, medium and high altitudes. Its kill probability is over 88% with one missile. With two missiles in ripple firing, its 98%," said a DRDO scientist.